$4 million infusion of cash produces net gain of only 435 cases cleared statewide. Florida’s foreclosure courts have made almost no progress in clearing an overwhelming backlog of cases from their dockets despite a $4 million stipend awarded by lawmakers this year. As of Oct. 31, there were 377,272 pending foreclosures in Florida’s 20 circuit courts, a net reduction of just 435 cases since the money became available in July, according to the state courts administrator. Judges say new foreclosure filings have nearly outpaced the number of cases they’ve been able to close as banks work on clearing defaulted loans on hold since the robo-signing freezes and pending the National Mortgage settlement, which was finalized in March. While the $4 million has helped courts statewide close 69,513 cases in four months, 69,078 new cases were added during the same time period. 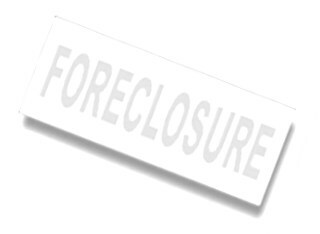 Economists generally agree that resolving foreclosures is an important factor in stabilizing Florida’s economy. Cleaning up vacant and abandoned homes can increase property values, while new home construction — a critical element for Florida’s workforce — won’t fully recover until the foreclosure backlog is reduced, said state economist Amy Baker. Palm Beach County is considering an electronic system that will identify aging cases and automatically set them for a status hearing or send out an order of dismissal. But a speedy judiciary can be a clumsy one, foreclosure defense attorneys argue. It’s not just robo-signing and lost notes delaying the process. Banks and homeowners ask for delays for myriad reasons — they’re working on a loan modification, a short sale is being negotiated, or the case has been shuffled among bank attorneys so many times the newest firm isn’t up to speed. Palm Beach County Circuit Court Senior Judge Howard Harrison routinely hears cases that are lingering from the early days of the real estate bust. Last week, suburban West Palm Beach homeowner Allan Salman was in Harrison’s courtroom asking him to cancel a foreclosure auction on Salman’s home. The sale was scheduled for the next day. “This is a 2007 case,” Harrison said, looking up from the dais with a head shake. Salman, who has wrangled over loan mods and short sales with his bank since it filed for foreclosure five years ago, said he was close to finalizing a deed-in-lieu of foreclosure with his bank, but needed more time. “I’m sorry, sir, motion denied,” Harrison ordered. “The judge in good conscience could not give me an extension, and I understand that,” Salman said after the ruling. But he had a plan B. Salman filed for bankruptcy the same day, a maneuver confirmed by bankruptcy court records and one that puts a temporary freeze on the foreclosure. “If one court doesn’t work, go to the next,” Salman said. In Miami-Dade County, where about 50,100 foreclosure cases are pending, judges have made the unpopular decision to set trials as a way to hasten the process. Setting a trial forces both sides to present their case to the judge, who can then make a ruling. Miami-Dade Circuit Court Judge Jennifer Bailey, who served as chairwoman of Florida’s Task Force on Residential Mortgage Foreclosure Cases, said she knows attorneys are griping about the new tactic. But previous methods, such as setting management hearings to learn the status of a case, weren’t working, she said. Miami-Dade received $626,409 of the $4 million allocation, and has cleared the most cases, 11,913, since the money was awarded. Royal Palm Beach-based foreclosure defense attorney Tom Ice is not impressed. He likened Miami-Dade’s trial program to a “cattle call” and said cases tried without proper trial orders are void and can be rolled back by homeowners. State estimates show 220,000 new foreclosures are expected to be filed during the fiscal year that began July 1. An additional 239,000 are estimated for the 2013-2014 fiscal year, said State Courts Administrator Lisa Goodner. She will ask for another $4 million from lawmakers this year and is hoping to get $5 million from the state’s portion of the National Mortgage Settlement. Florida lawmakers first gave the courts $6 million in 2010 to whittle the foreclosure backlog, but no money was provided again until this year. That meant judges had to hire and train staff in July to handle the backlog, a time-consuming task that delayed processing cases. In October, 20,327 foreclosures were cleared statewide, a 35 percent increase from September that judges attribute to new employees becoming more familiar with procedures. “We’re just trying to do what we can to keep up and will hopefully reach a tipping point soon,” Goodner said.